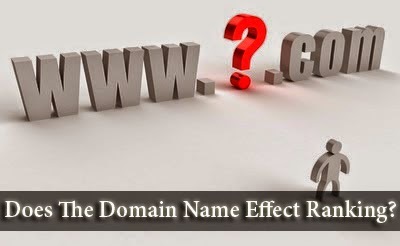 Does your Domain Name Have An Importance In Ranking? It is generally the case that the more keyword-rich and exact-matching a domain is, the more valuable it is. Ordinarily, you could buy a domain at around $10, but some domains sell for millions. That is obviously as far as their physical value goes. But what about theoretical value, or value in search rankings? We know that the domain age plays a part in ranking, but is there any truth to the domain name itself contributing towards search engine performance? Some might argue that having a keyword-rich domain name makes it more likelier to rank, since it becomes more relevant to the topic thanks to the keyword(s). That is understandable, considering how optimizing page URLs with keywords can help your SEO efforts. But what about the bigger picture? Does it help ranking if you have a popular keyword in the domain, regardless of content of the webpage? Many people feel that once they've landed a killer domain name, they've struck a gold mine, and that the content of their site has become less important than having the keyword in the domain. So watching for, buying and using a domain name which corresponds to a phrase that gets high search volumes should see you ranking higher on that phrase, you getting more clicks, increased traffic, revenue, etc.? This might have been true a decade ago, when search engines had nothing but keywords to work on. Not today though. While optimizing URLs can help, ranking today is a result of so many signals other than keywords. Google itself claims it makes use of more than 200 signals to rank a website, and this includes the heavyweights like the backlink profile, social interactions, and more. Do you think a factor as small as a single keyword in the domain name can be significant? The domain name is a crucial factor when it comes to branding. Good domain names help the user-experience. They're easy to spell, pronounced, and easy to remember. It doesn't, however, necessarily have to be keyword-rich. What the heck is a 'Google'? The word is now present in most standard dictionaries, but 16 years ago, nobody could have cared less about it. To reach this point, however, there has to be something of value on the site. Something that makes people want to share the site, recommend the site and revisit the site themselves. In other words, the CONTENT, coupled with relevancy and user-experience. It’s perfectly acceptable to use words in domains in unique ways. Bottom-line, there are no shortcuts to ranking. The domain 'technology.com' wouldn't give you any perks aside from branding, and the domain 'xyz.com' is just as likely to rank high, provided that it has something of value to offer to the users.